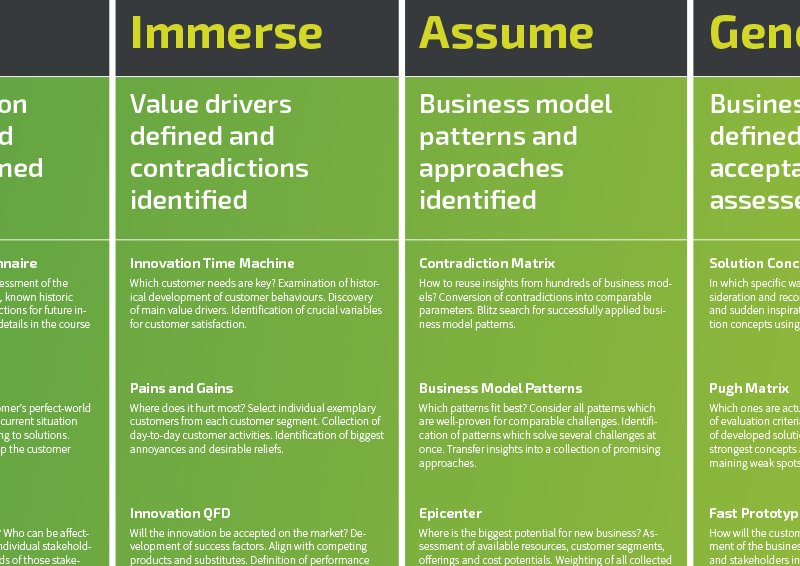 Which path leads to successful innovations? 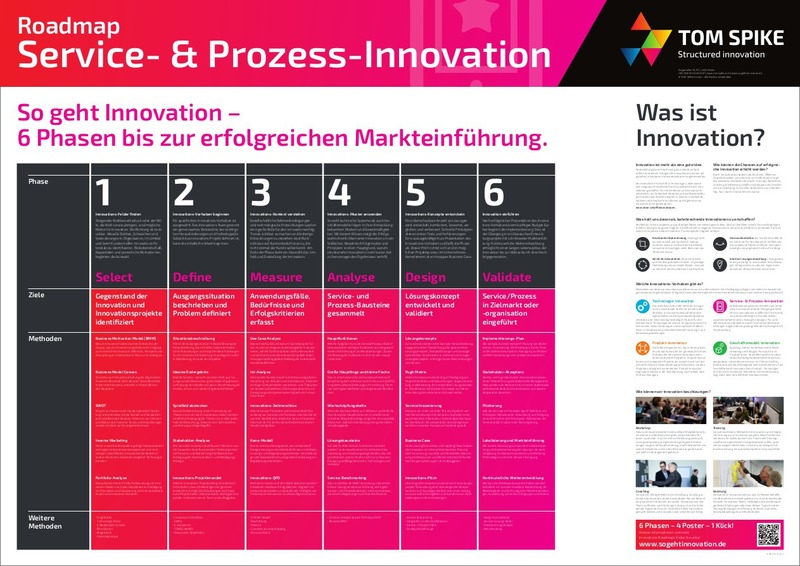 Starting from a mere motivation to create an innovation, there are six phases until successful market launch. 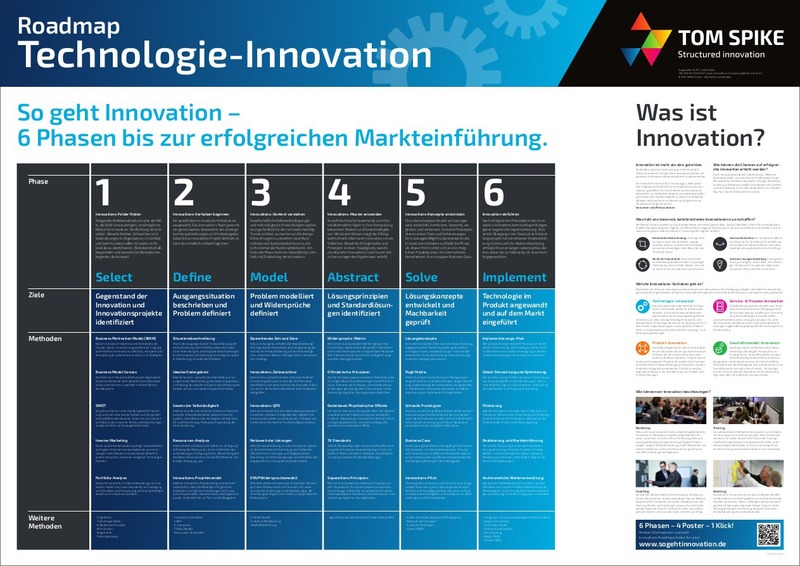 The innovation roadmap helps to keep an overview of the innovation project, phases and goals. It helps innovation newcomers to find there way through the jungle. For experienced innovators, who use iterations and adaptations of the innovation process in a flexible way, the roadmap serves as a communication reference. 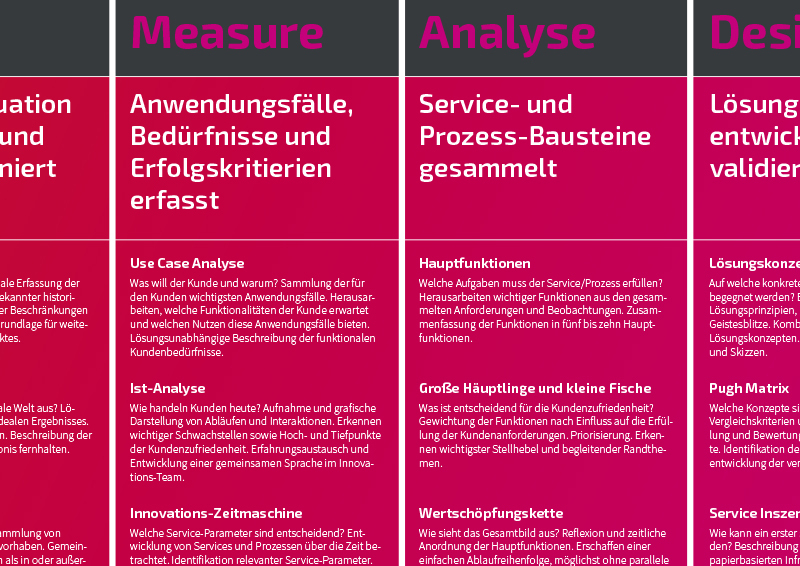 This poster helps you to achieve successful service and process innovations. Meeting point of interested colleagues and eye-catcher with real added value for your office. 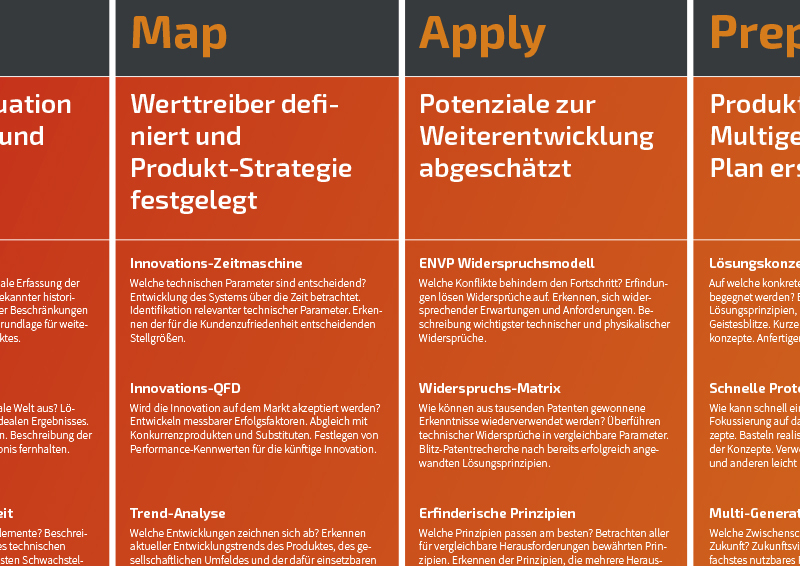 Further roadmap posters are available for Technology Innovation, Product Innovation and Service/Process Innovation. 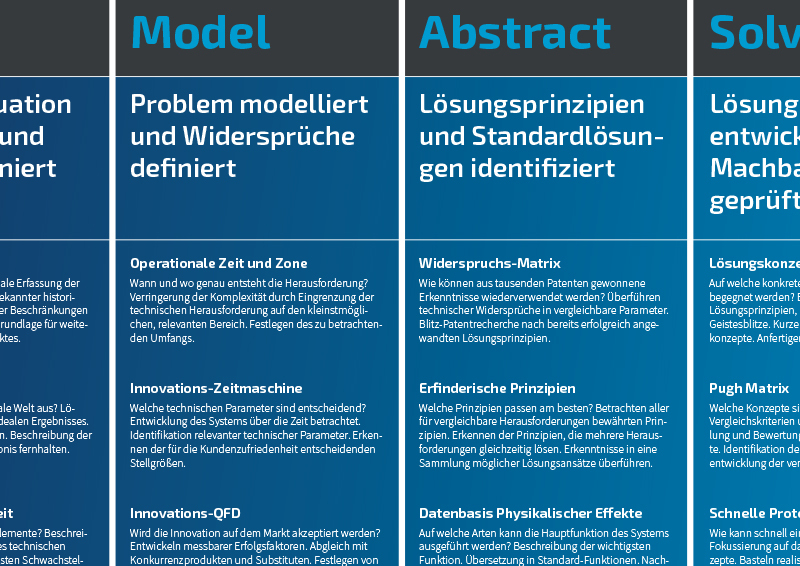 For each poster there is a suitable training from the training series “Structured Innovation”. 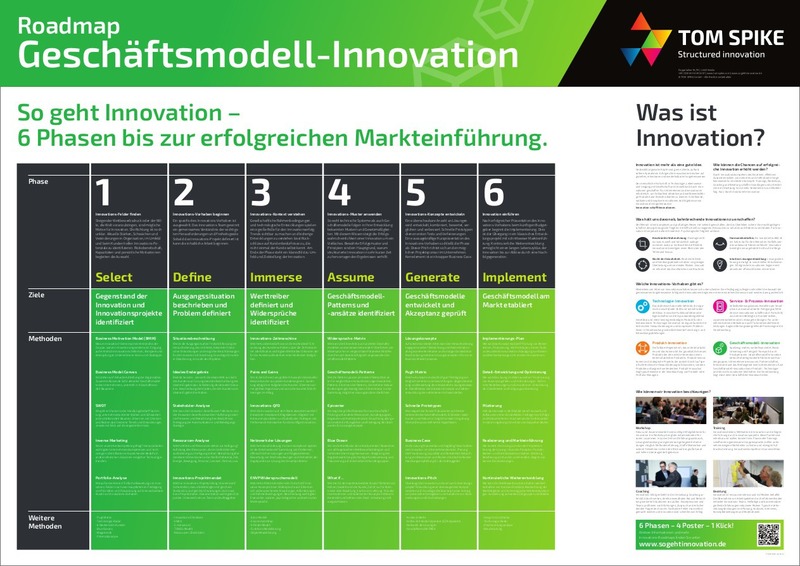 This poster matches: Business Model Innovation – 4 days Master Class. All trainings are available on demand in English or German. 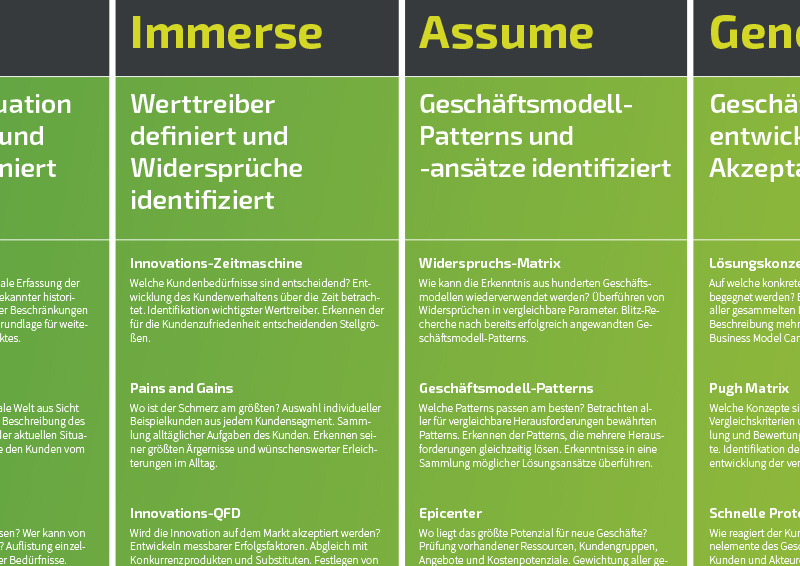 Master classes in German for Business Model Innovation (Link to German website) are regularly offered publicly.